A bit later than promised, because…busy with really cool magical (!) new things and I cut my hand. Oops! It rarely happened before, but if you're busy…well then you make a one-second mistake. No worries, still have my hand, fingers still attached, only a large plaster and just happy to work. 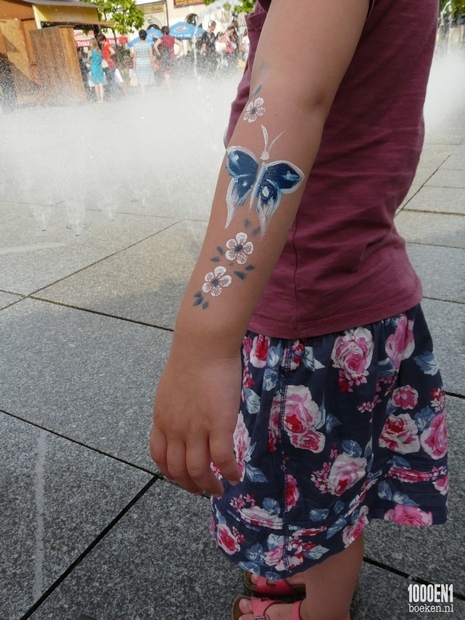 But as promised: part two of our adventure in Poland. Maybe you've read my first post about Boleslawiec? As I already mentioned we got a guided tour in one of the Bunzlau factories. 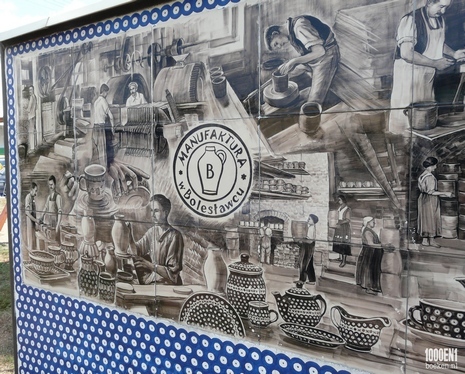 It was also one of my favorite stores: Manufaktura. And since few people enrolled in the English tour Sander, I and our little lady got ourselves a private tour. 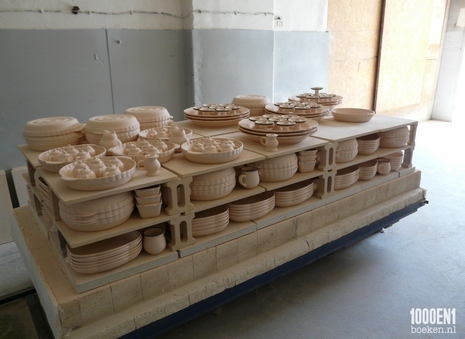 Smaller tableware parts are cast in molds, but large parts such as dinner plates are made from a single piece of clay and rotated in shape with a knife. This way you obtain extra strength. It's nice to see all tools so neatly hang! In the bindery every tool also has a fixed place. If I am gluing everything must be within reach so I won't miss. 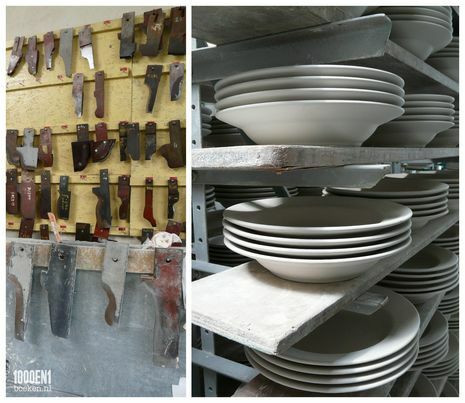 It is so special to walk through the factory where the tableware is made which we use daily for years now. We are beginning to appreciate the dishes even more. And the turquoise windows ♡ my favorite color! 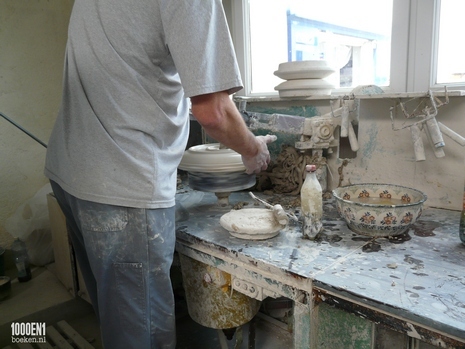 When the clay is thoroughly dried it is put in the oven for the first time. After baking it gets out a little rosy. Then it is stored in high-cabinets to be painted at a later time. Can you imagine: cupboards full of dishes waiting for a motive. This is only a small part of what is in this hall. Plates, bowls, little tea light holders, egg cups, vases, clocks… The painting is done entirely by hand and is a true craftsmanship! This is done with these stamping sponges. We tried it ourselves and I can tell you: it's really not easy! 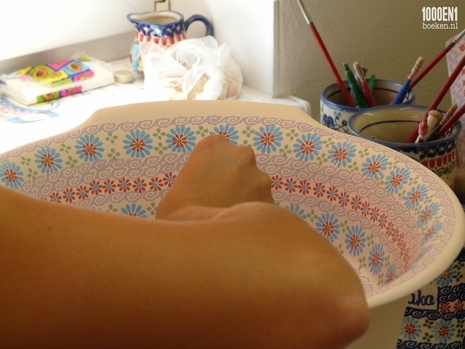 Later this week the third and final blog about the painting of this beautiful tableware. Next Tuesday a blog post about a very special marriage certificate booklet! 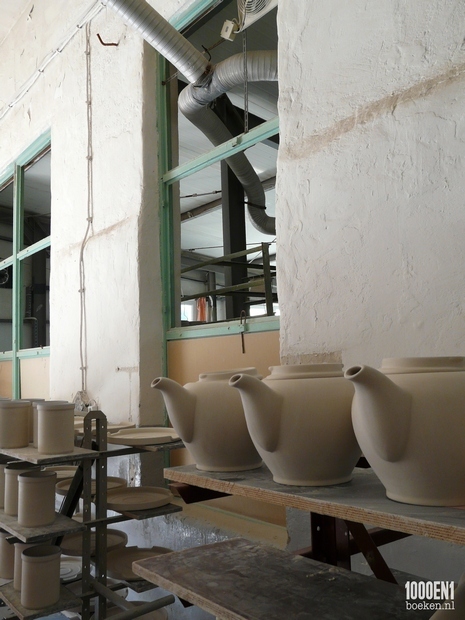 We had not planned to go away this summer, but then I discovered that there is an annual pottery festival in Boleslawiec Poland. And it started to itch. For about 16 years I use handmade tableware every day. I bought it in the Netherlands and the USA, Sander and I had it on our wedding list at Betjeman & Barton, I found antiques pieces at flea markets and thrift shops and a dear friend coming from Hamburg also got me a few things. I also own a large collection of vases. It is so exciting to go to a country where you've never been before! 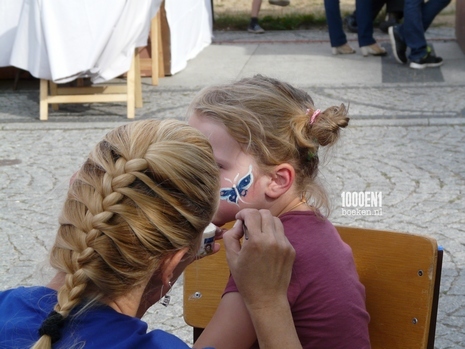 And how pleasantly were we surprised ♡ Southern Poland is so gorgeous, the people are so nice and oh, did we enjoy the Pottery Festival! In my series of three blog posts I will not really go into all the addresses, because these can be found on the Internet. I want to focus on the craft. That is what makes this tableware so special to me! 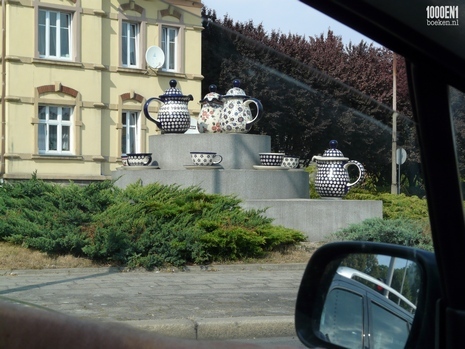 I casually made this picture at one of the many roundabouts with crockery. We made many extra laps just to enjoy all this special. 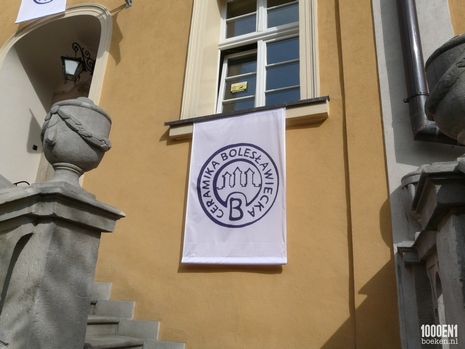 We started our discovery on the market Boleslawiec. I was told that there are only two factories supplying the Netherlands, but there are many more factories. 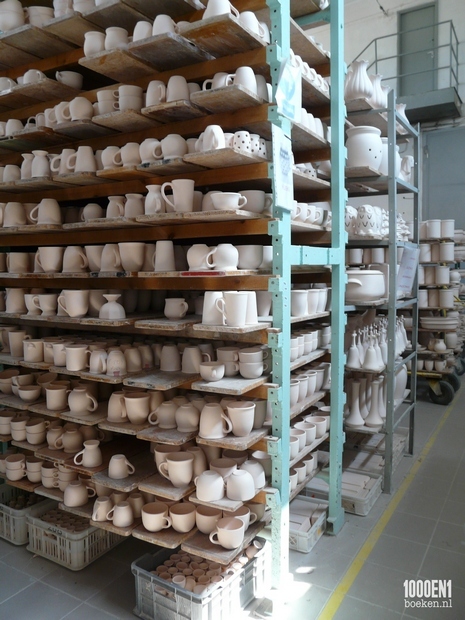 Not only is the crockery delivered to the Netherlands, but also to the United States and to South Korea. It is so nice to see a delegation from all the factories on the market. And you can clearly see the difference between different factories. You see it in the patterns, the style, the color, the shape of the convex cups, but you can also feel the difference in quality. Of course, we came here with a few things on our wishlist. Because we use the tableware daily some of it gets broken on the tile floor in the kitchen, sometimes a little chip is knocked of. So this was a unique opportunity to refill the cupboard with pieces that normally would not come on the market in the Netherlands. 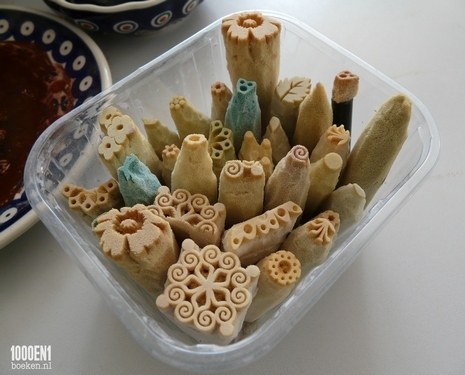 A characteristic of these dishes are the patterns imprinted on them with laser-cut sponges. 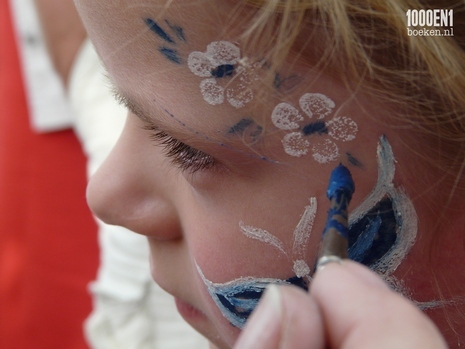 During the festival you could get yourself painted by various lovely ladies who in daily life work in the factories painting the tableware. What a craftmanship! 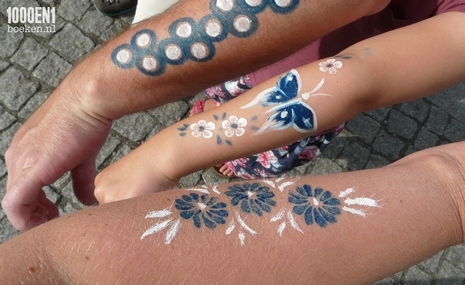 In the end we left the market with three painted arms and two painted cheeks. That second cheek was Sander's ;-) That first day was so good that if at that time we had to go home, we were all very satisfied. Fortunately, we were allowed three more days. Next Friday part two on my blog about a fantastic tour inside one of the factories. Below you can see a little sneak peak, which I made at another factory. This factory mainly supplies the US and we bought three special dinner plates. The painting of this scale can easily takes up to 75 minutes to complete. In the oven, the lila will turn into the familiar dark blue.